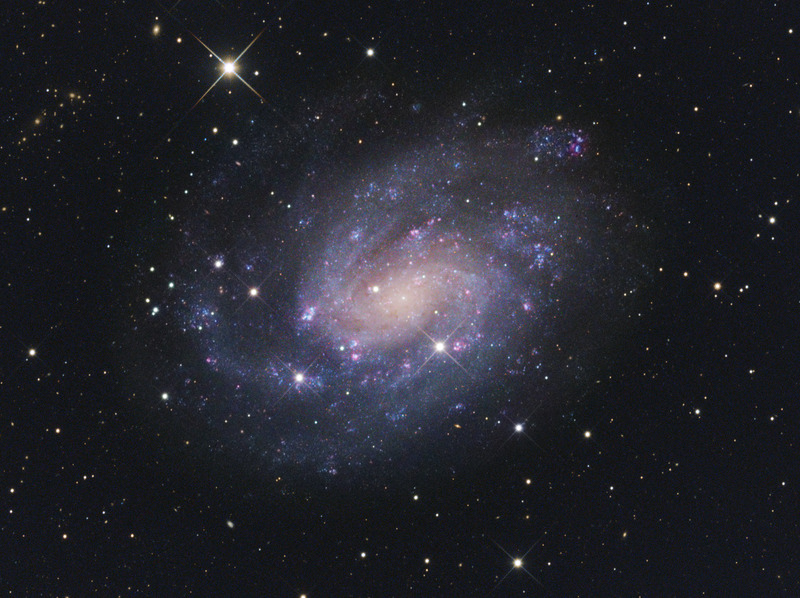 NGC 300 is a spiral galaxy in the constellation Sculptor. It was discovered on August 25th by the Scottish astronomer James Dunlop. It is one of the closest galaxies to the Local Group, and probably lies between us and the Sculptor Group. It is the brightest of the five main spirals in the direction of the Sculptor Group. 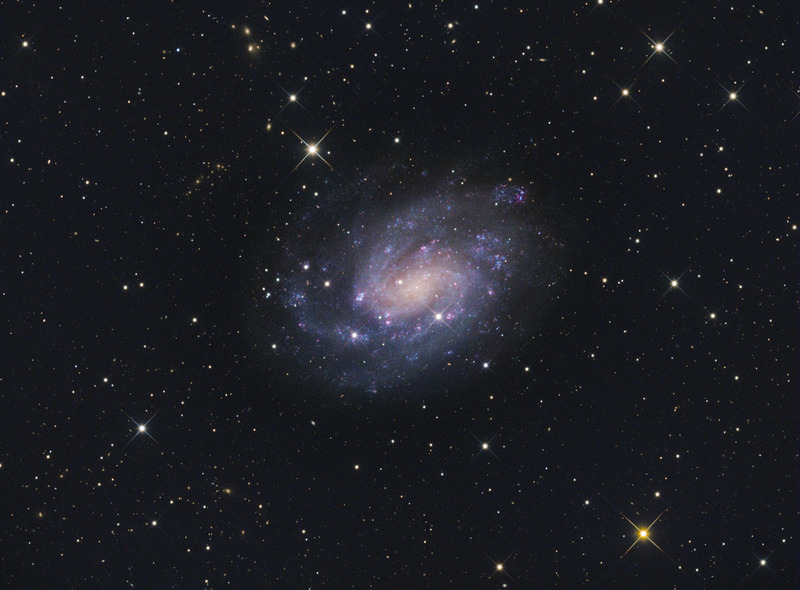 It is inclined at an angle of 42° when viewed from earth and shares many characteristics of the Triangulum Galaxy.